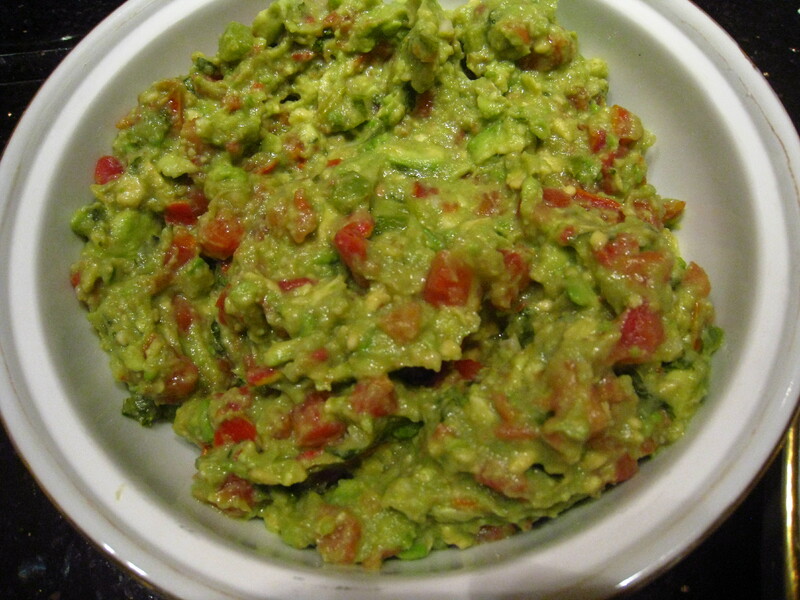 This is a simple and easy guacamole that takes just minutes to make. By combining fresh avocados with store-bought fresh pico de gallo (pico de gallo is uncooked salsa made from chopped tomato, white onion and jalapeno) it allows you to get all of the fresh flavor but you avoid having to buy and prepare the various ingredients. 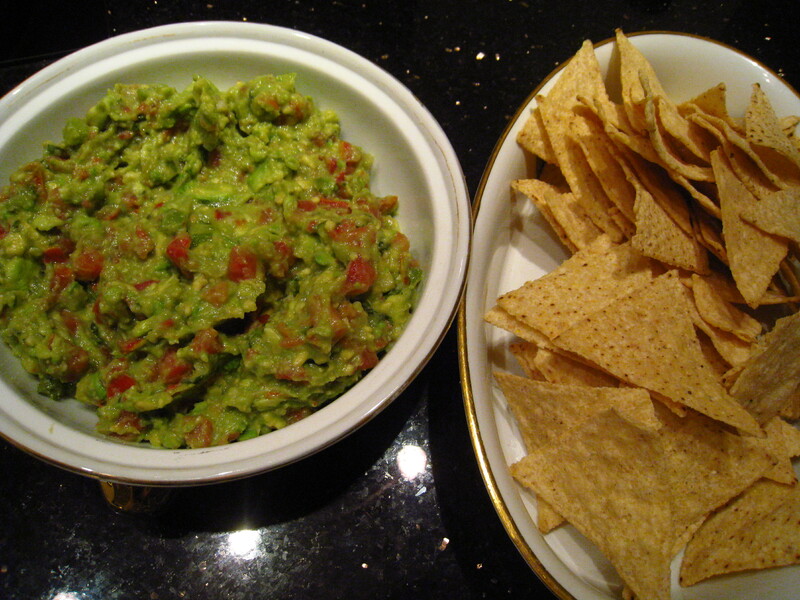 I serve my guacamole with reduced-fat tortilla chips. Easy and delicious! Slice 2 fresh avocados and place in a mixing bowl. Use a fork to mash avocados to a smooth consistency and then combine with the juice from 1 lemon, the pico de gallo and salt/pepper to taste.